Rail fans can experience the thrills of owning, building, and operating railroads in the land down under! Explore the outback, build your rail empire across mountains and deserts to build a fortune. But beware dangerous sandstorms and flooding rivers as you stretch your rails across this vast continent! 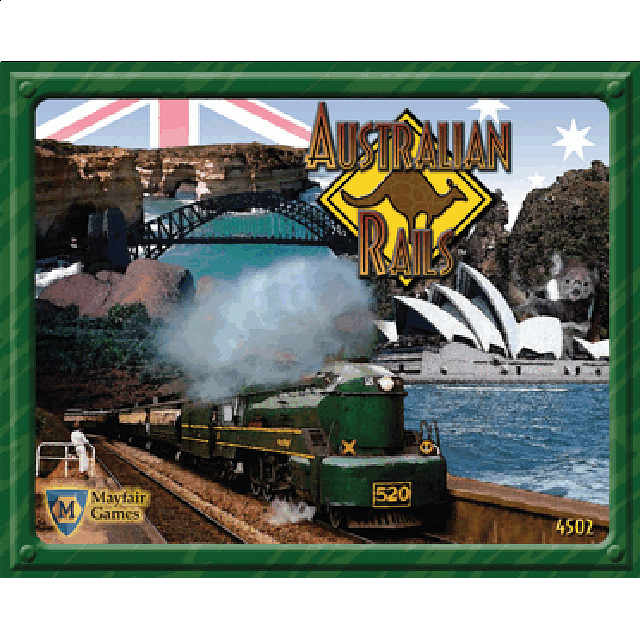 Australia Rails is part of the award-winning Empire Builder® series of games, but is a complete stand-alone adventure in the world of railroading. Using a specially designed board, you will use crayons to draw your rail lines.